I made a printable for you so that you can do this activity with your kids. What I did was print out the worship printable above. 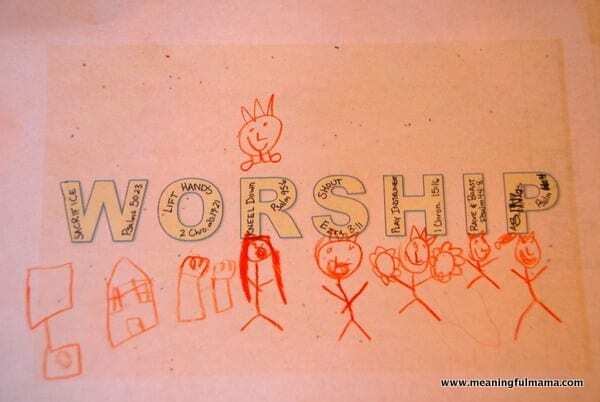 Then, I told Kenzie she could draw what reminded her of worship. I told Abby I wanted her to try and draw the 7 ways to show praise near the letter that had the concept. 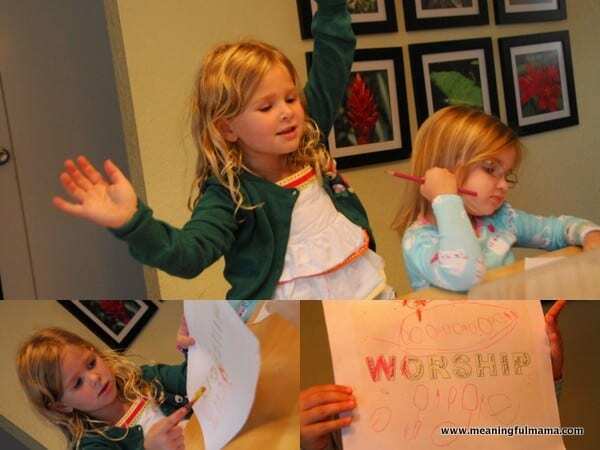 As they colored, I would read off the verse that mentioned the ways of worship. I also explained the harder terms like sacrifice and boast. Thank u for this..I am using in our Preschool class today with about 25 kids..we are talking about how the wisemen came to worship Jesus!! I love that you are using it. Thank you so much for sharing that with me.